Taste descriptions I save myself at this point. 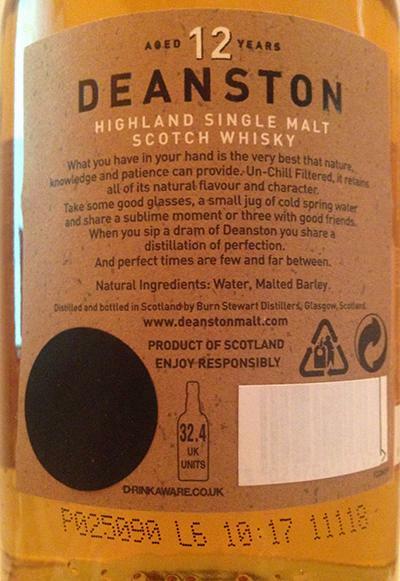 I think enough experts have commented on this malt; The notes are sometimes as contradictory as they could be. To all newbies, put on a sample and judge for yourself. Or buy at this joke but still a bottle. Maybe it's even the price that was the fate of whisky, because no one dares to miss such a malt many points. 'What do the aficionados think if I give 85 points to this whisky?' It feels a bit wrong to find a cheap malt or it? I give nothing on prices, standing or anything else - from me there are 88 points! Would I include in my ratings the PLV with it would probably ü90 .. 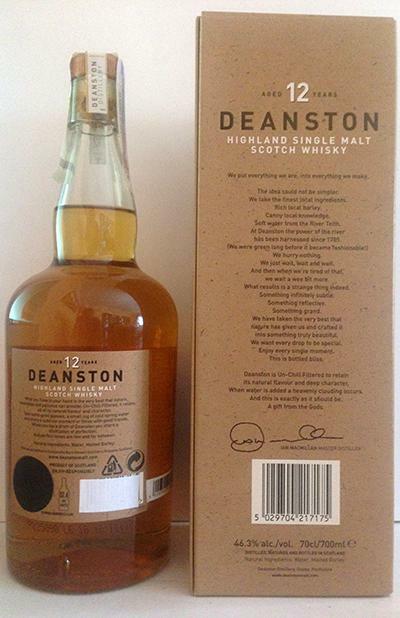 This malt represents Deanston as an original bottling flagship must. And yes; it may be that he does not taste you; Tastes are different; but not to try it because of the low ratings (the experts here) would be wrong! Some Scottish distilleries are fairly average at best. However, given a craft presentation, the intrinsic quality of a previously overlooked Single Malt can improve significantly. 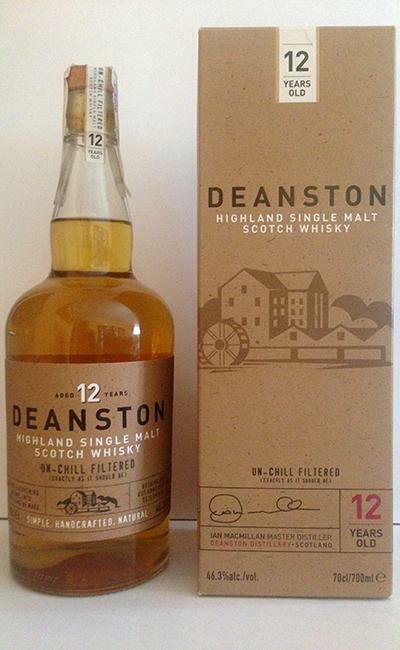 Deanston 12 is a good example. Floral honey, breakfast cereals and whiffs of fresh oak characterize the nose. It’s soft, fresh and almost Irish with lots of 'green' notes. The taste unfolds strong and biscuity with vanilla fudge, sour citrus and hints of cough syrup. Straightforward, mildly bitter and gingery sweet in its long finish, this Cinderella malt proves to be highly underestimated. Definitely different, definitely exciting as a 12er standard bottling. Rather strong, grassy and a lot of oak, little fruit and sweetness: you have to like that. The alcohol content goes perfectly with the whisky and pushes the aromas on the tongue, even if the whisky is not super complex. 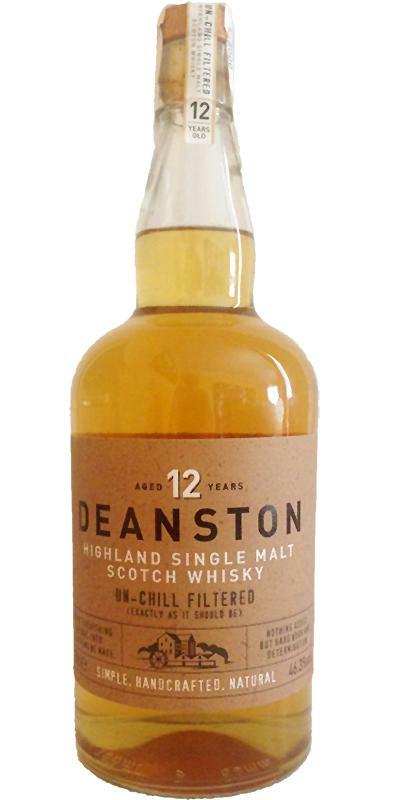 If you want to get away from fruity, flowery, ... the Deanston is definitely a good option. The first impression is fresh, strong sweet and citrusy. The 46.3% push the aroma nicely into the nose, without it smells alcoholic. Juicy tangerines show up, and now a strong grassy note with traces of malt and oak. Very fine vanilla, caramel does not show up. A nice fruity impression. In the end, the oak becomes even stronger. After the first sip, then comes the caramel. Surprisingly full and strong for the age. Directly the oak pushes into the mouth, slightly bitter herbs or something like green tea, candle wax and some lemon. Dry. Again herbaceous notes like dry grass, a touch of juicy tangerine remains easily in the background, before the oak pushes in front again. Pleasantly warming and some honey sweetness. The finish is medium long, maybe a minimal hint of fine wood smoke, then a little peppery throughout the mouth and later again a bit bitterness and dry. There is hardly any fruitiness left, a slight honey sweetness remains. Dry. Warm mineral water. Cereals, grasses, bright gummy bears. Flourish apples. A touch of shoe polish. Apples, butter biscuits, some pepper. White chocolate. Some hay. Rather short. yeah, the same yeasty maltiness just as I remembered. but there is a honeyed side that I only discovered in my friend´s bottle. This time I also find some apricot jam. Also a mineralic side like wet beach sand and some heather honey. Nice!!! There´s nothing into your face, you need some time to discover it´s beauty. Yes, really good. it really improved with the years. Great balance of malt, caramel, some yellow apples, apricots and even a little smoke. Wonderful mouth feel. Cereals. Husky. News print. Limestone and chalk. Caramel and toffee. Some oak. Honey and corn flakes. Lemon. Some ashes. The 12yo I have ever had as a large bottle and wanted to see again how I like it now. This is for me a solid and honest malt from the Bourbon barrel. It does not hurt you but it does not disappoint. Excellent ex bourbon matured highland whisky. 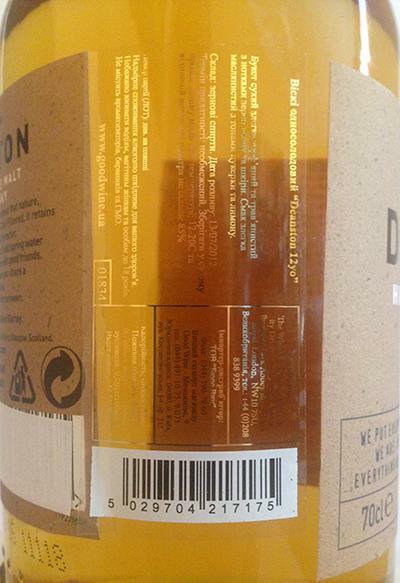 Deanston definately used very good ex bourbon barrels. The craft presentation really improves this whisky. 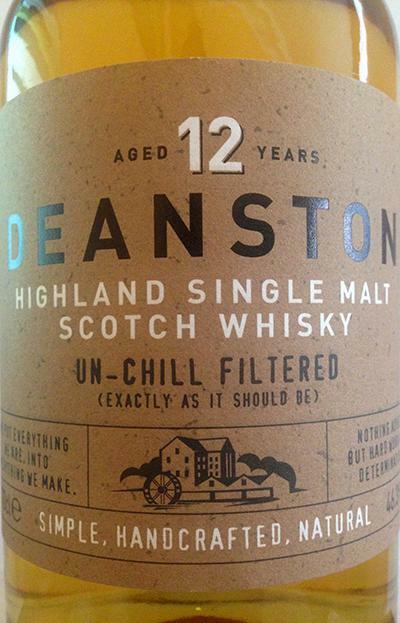 It‘s well balanced between distillery character and cask influence. Reasonably Price. In my opinion, it needs a few drops of water.